Whether you're looking for a cleaning or a filling, our dental team can provide you with general dental services in Edmonton. Recognizing potential problems and planning ahead is better than missing something that should have been dealt with. Prevention and dental hygiene are critical for good oral health, and so we recommend regular dental check-ups for our patients. Our hygienists monitor and check our patients on a regular basis and provide any needed care. Anything that requires a referral to a specialist will be facilitated by us. 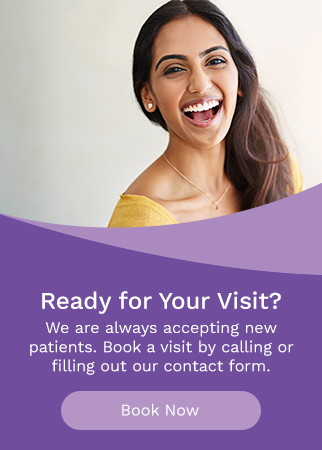 We take pride in offering oral cancer screenings at every visit to ensure our patients are healthy. We use our VELscope to complete the scan and work with you to ensure best practices for maintaining your oral health. When a cavity has been caused by tooth decay, you will need a filling to repair it. If you don't get a filling, cavities may worsen or lead to more severe problems, such as bone loss. An untreated cavity can also lead to an abscess. You might also need a filling if a tooth has cracked or has been damaged. Dentures are removable appliances that are constructed to replace missing teeth. It is used to replace missing teeth and the surrounding tissue. They are made to closely resemble your natural teeth and enhance your smile. You can get a complete denture, which replaces all the teeth, or a partial denture, which will fill in any gaps in your smile.